This root method is for Android 7.1.1 and Android 8.0 or 8.1 Oreo. If you are looking for root method for OnePlus 6, please see How to Root OnePlus 6 on Windows/Mac/Linux! You can download all the files on our TWRP recovery page. You will need to download fastboot.zip, Windows USB drivers(if using Windows), Magisk zip, and OnePlue 5T TWRP image file. That is FOUR files you need to download. After rooting your OnePlus 5T using my root tutorial few days ago, you may run into problem of your storage and gallery not working correctly. Here’s how to easily fix by typing the following using Terminal Emulator thanks to Powder77777! Once rooted, you will never need your computer again as you can download custom ROMs straight onto your phone and try different custom ROMs. Also, learn to backup and restore ROM using TWRP recovery, see my universal guide on How to Backup/Restore ROM with TWRP Recovery. To install new custom ROMs, follow my universal guide on How to Install Custom ROM using TWRP. Install Google HDR+ Camera to make your photos better in low-light! Works perfect with 5T. After rooting, you will be able to install cool MODs and customize your phone fully so look into OnePlus 5T mods on XDA Forums for more cool stuff. I’m stuck at the same place – mac doesn’t show oneplus 5t in Finder. 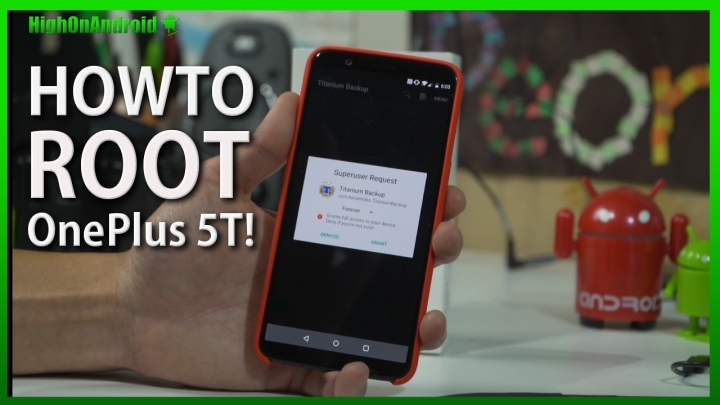 Make sure 5T is connected as USB storage device! I didn’t find a way to connect as a USB storage device – I just hopped over to a Windows machine and did it there. ANNNND the big fix today following your video for command line to mount the storage sorted out a ton of problems that I had – I wasn’t able to take photos and see them, AND there were certain apps that wouldn’t download, like Facebook. So, all-in-all, got through it and now the phone is running normally. Your vids were great, really helped! You can also use a OTG cable and flash drive. is the fastboot the same command? After i am flashing twrp, go into and try to wipe and have lots of red error lines. Any wipe failed. And when i leave twrp i cant back to it, always showing me only screen with languages. Next story Gear 360 – Driving Over Bay Bridge in Suzuki GSXR600! Previous story OnePlus 5T vs. Pixel 2 Low Light Camera In-Depth Review!